The Engineering Construction Industry Training Board was established in 1991. They are responsible for setting the standards and skills required for the engineering construction workforce in the across the UK. The ECITB provides companies with the support required to train engineers to the industry required standards. The ECITB also sets the health and safety standards in the industry. Working with a broad spectrum of companies to attempt to build the most skilled workforce possible. 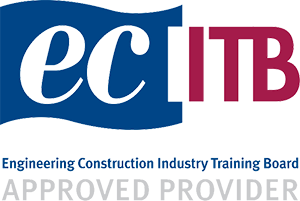 Some of the other main responsibilities of the ECITB include maintaining industry standards for training and qualifications, and representing the needs of the industry at a government level. Courtley Health & Safety currently run a number of ECITB accredited training courses. If you wish to book training with us, click on the course required below. Courses take place at our training centre in the North West. But, when possible, we can also run training at your own workplace.